Do I need to do the bouquet toss? The bouquet toss is a longstanding wedding tradition and – although it’s losing a little of its popularity as brides want to keep their bouquets intact – it can be a lot of fun. 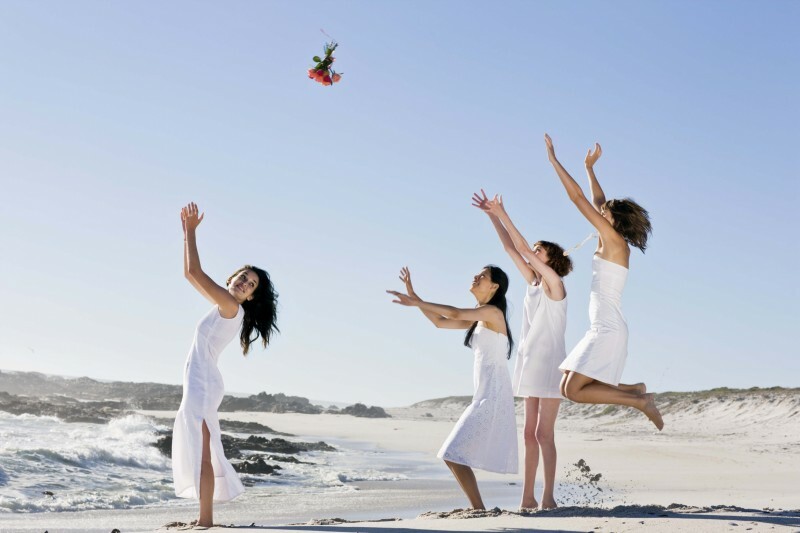 Here are a few hints and tips if you’re wondering whether to include the bouquet toss in your wedding. Your florist may be able to include a throwing bouquet as well as the real bouquet in your price package. This would stop your expensive bridal bouquet from getting dirtied and damaged. 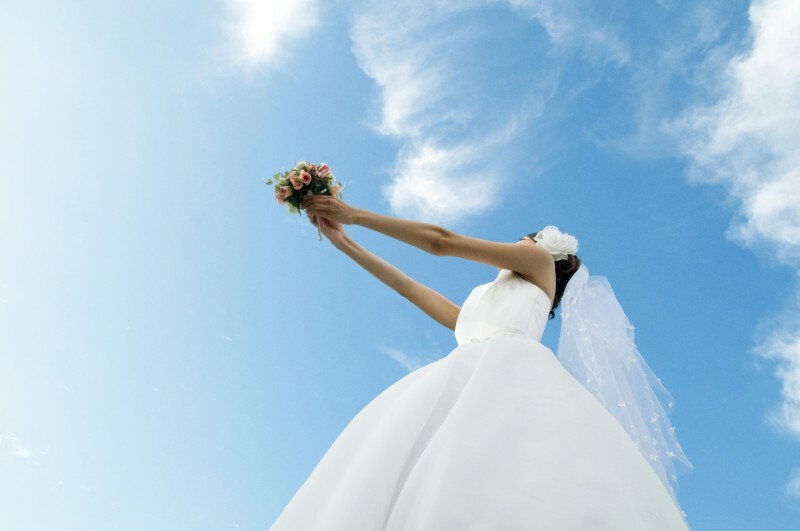 Bouquets to toss are made to be more robust so they don’t break into separate flowers in mid-air. While practising throwing your bouquet may seem an odd idea for a ritual that’s performed as a bit of fun, would you want to look silly by not getting enough distance on your posy and it landing by your heels? During your trial, throw something of a similar weight or – to better replicate the effort you’ll need to exert – buy a cheap bunch of corner-shop flowers to rehearse with. Perform this ritual once the party is at its most lively, with drinks flowing, and everyone up and strutting their stuff on the dance floor. Leave it too late and you risk some of your single ladies leaving early. While tradition sees the bouquet thrown as the bride leaves the reception, this is only suitable if you make a formal exit early on. Heighten the mood of the bouquet toss by having musical accompaniment, perhaps choosing an up-beat pop song about singledom or independence. Once the music starts the MC should inform all available single ladies to take to the floor. The bouquet toss can be complemented with a garter toss. The groom should remove the bride’s garter and throw it to the single men. Those that catch the bouquet and garter should then be encouraged to dance together, though as it’s all in the name of fun make sure the song they dance to is something light-hearted. If your guest list includes a lot of single women, the bouquet toss can become a really enjoyable affair. You can encourage friendly rivalry to add an extra spice to proceedings. If, however, there are only a couple of single girls the ritual could end up being a little embarrassing. Try to give everyone a fair chance of catching the bouquet – nobody will appreciate a contrived toss, but everyone will notice. The best rule is to just aim down the middle of the gathered women and let cupid work his magic. Should you want someone in particular to have your bouquet, just give it to them. Nobody will mind. If you don’t think the bouquet toss fits into the schedule of your day, there are plenty of other things you can do with your flowers. Maybe you would like your bouquet preserved or passed on to a close relative? You could even perform a bouquet dance where the posy is handed to the guests that have been married the longest.